Today we’ve updated our exhibition diary for 2013. Drop by and say hello, we look forward to seeing you there! Today we’ve added our fixture list for the remainder of the year, hope to see you at the shows! 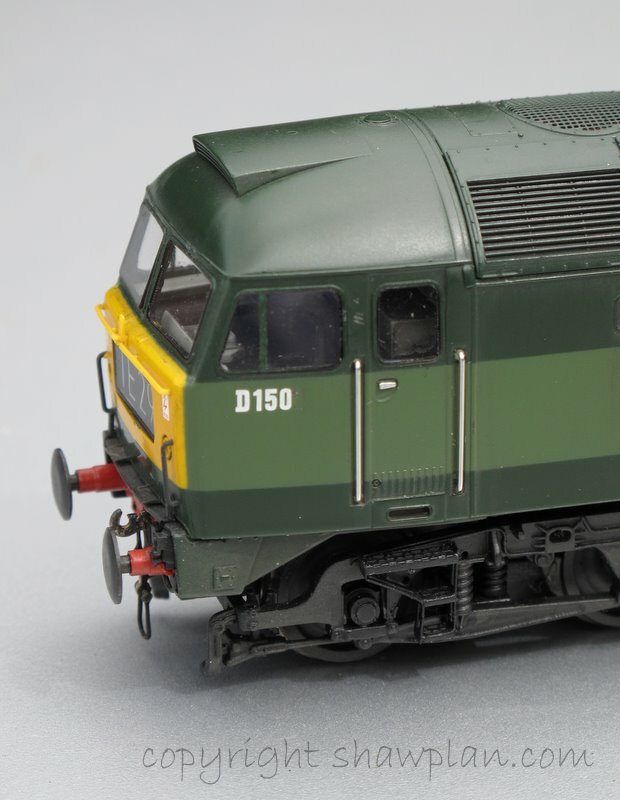 Today we’re pleased to announce the release and availability of new glasing sets for the Heljans Hymek in 4mm scale, Hornby and Hornby Railroad/Lima Class 31′s, Hornby Class 50′s, and the Southern Van ‘C’ from Hornby. 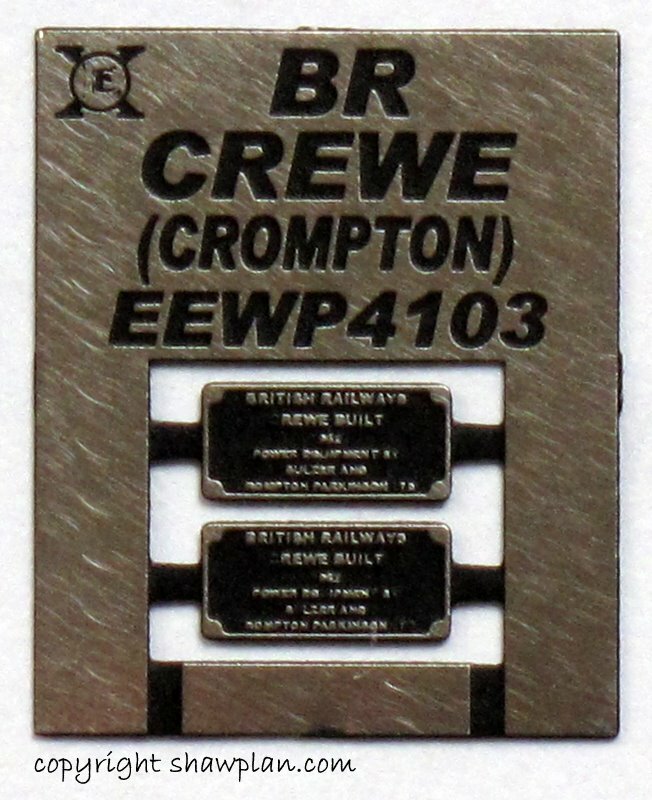 We also have new nameplates for the Western Class 52 in both 4mm and 7mm scale. The nameplates for Western Enterprise include the Lion and Wheel crest which we are particularly pleased with. GWR B set glasing EELG4018 price code K.
This weekend we are at DEMU 2012 in the Town Hall at Burton-upon-Trent, see the show diary. Development continues apace and these are the first images of the GWR B set flush glasing. Within the pack there are sufficient spares to fill in the incorrect extra brake compartment window very easily and quickly. 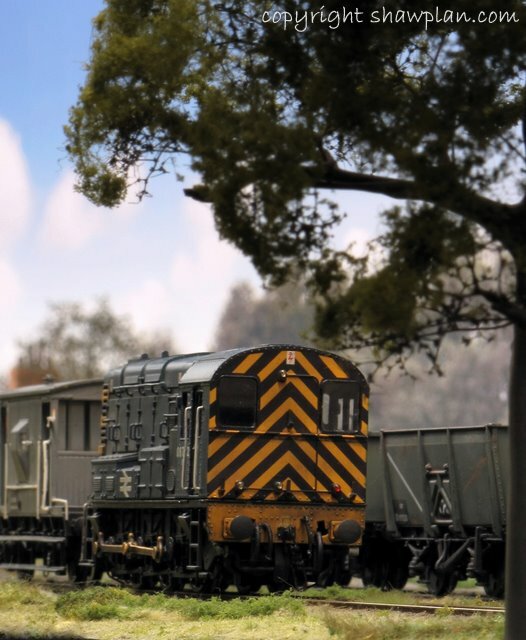 Pop in and see us at DEMU, we’ve got good news on 4mm Class 31’s too, see you there! 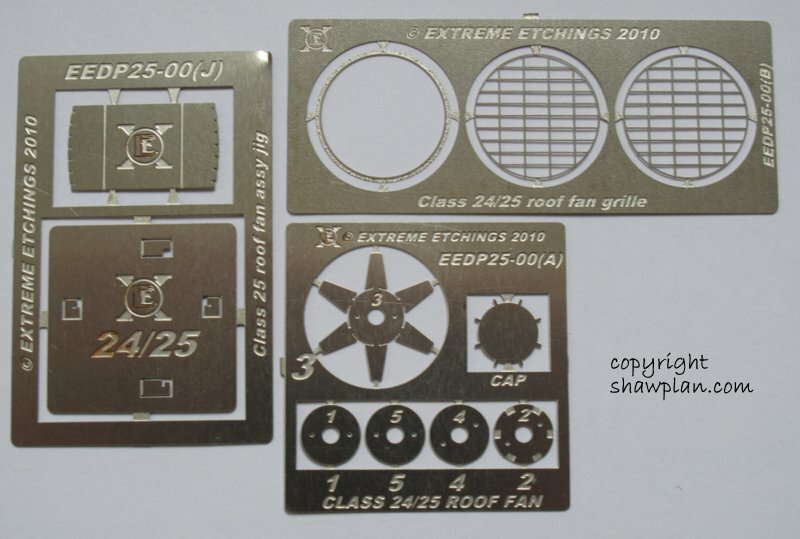 Today we are pleased to announce the introduction of a new laser glasing product for the Airfix/Hornby GWR ‘B’ Set. No pictures yet as this has only just come in to production. 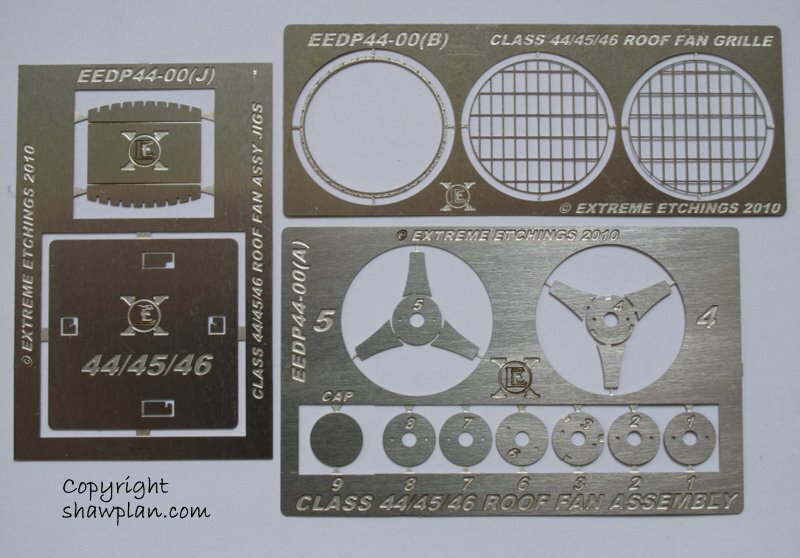 The product reference number is EELG4018 and price code K.
Coming soon are 4mm scale Class 31 window sets to cover Airfix, Lima, Hornby Railroad range, and Hornby (regular range) body variants, and glasing for the 4mm scale Heljan Hymek, and the Bachmann Class 25 locomotives. We’d like to thank all our customers who have dropped by at the recent shows, it was good to meet old and new customers and get feed back on how we’re doing. Unfortunately we are experiencing a slight delay in responding to emails received between 26th March and 3rd April. We will respond in the next week or so, the delay is due to re-stocking after the recent run of shows and an earlier than anticipated computer upgrade. We are also taking this time to close over Easter until Monday 16th April. During this time we will be completing the computer upgrade and working on product development to get a head start for the Autumn show season. We are next out at Scalefour North at the end of April and hope to see you there. Today we have added a new page to list the Laserglaze products, this will be added to in due course as new items are added to the range. In tooling in the workshop are the window sets for the Hornby/Lima class 73, these should be available at Nottingham show in Mid-March. This weekend we are at the Glasgow show and we look forward to seeing you there. Today we have updated the show diary with the exhibitions we are appearing at. We look forward to seeing you again this year. 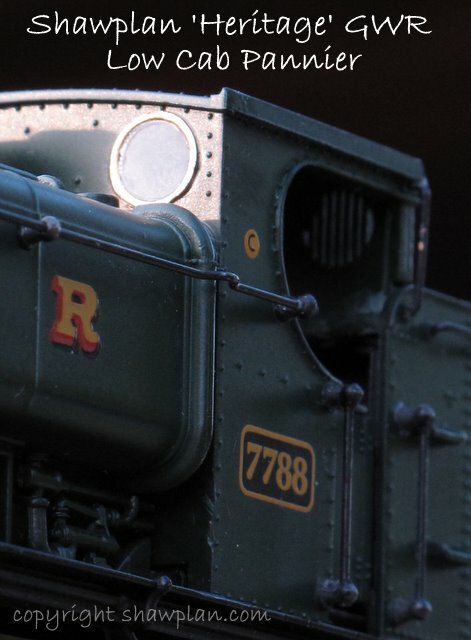 Today we are pleased to announce the release of the 4mm scale Laserglaze window kit for the 4mm scale Bachmann 08. This kit will provide glasing for one locomotive with the large droplight cab side window, and rounded corner door windows, so suiting the later build batches of the 08’s. We are anticipating tooling the small cabside window with square corner door windows in the near future. These variations will be added to the fret once tooled. This weekend we are at the Wigan show, come and say hello! We continue development in our laserglaze range. This week we have completed the tooling for the Hornby 08/09 replacement glazing, which covers the early and late cab door variants. The later door having rounded corners to the window frames. 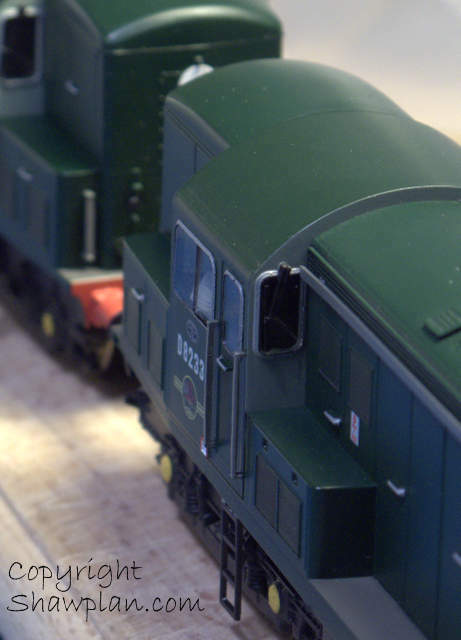 These are ex-stock and are on the stand at Warley. In development tooling are the replacement cab windows for the Bachmann 08/09 which we hope to release in the run up to the christmas period. Don’t forget our ‘Heritage’ laserglaze range, which covers the Bachmann high and low cab GWR pannier tanks, and our most recent releases of brake van glazing for the Bachmann GWR Toad and the Hornby LMS/BR 20T brake van. Development is underway in the Heritage range of other coaching and parcels stock, and we will post updates here in due course. 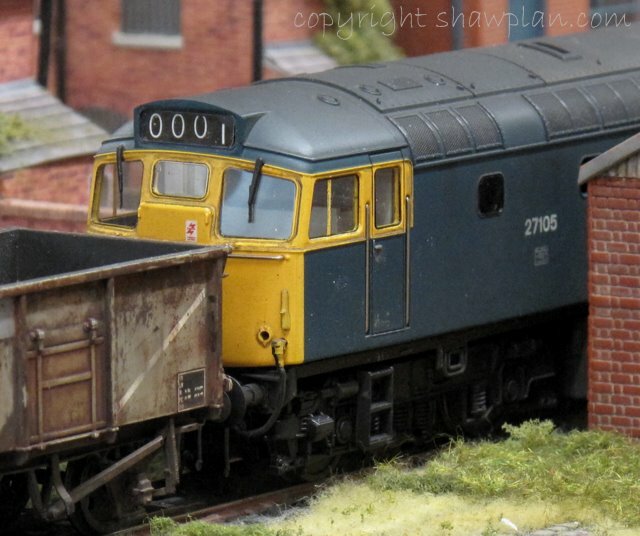 Finally this weekend is the Warley show at the NEC and we are there, stand C12. Please come and say hello, we hope to meet both new and existing customers over the weekend. Its been a couple of weeks since our last update and we are now into the very busy winter season with shows almost every weekend. 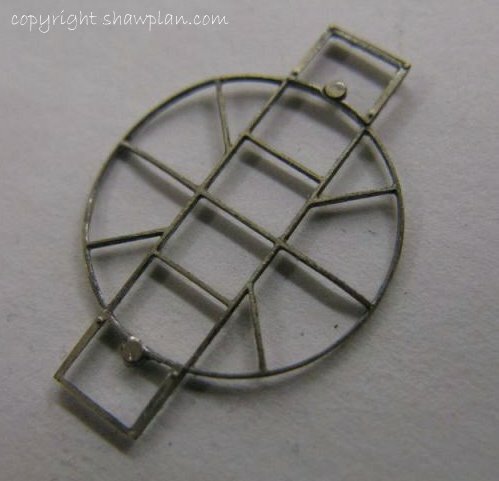 One of our next laser cut glazing replacement kits is for the Bachmann 4mm/OO 08 shunter which will complement the previously released kit for Hornby’s model. The image above is the first test shot and we anticipate release in the next week or two, possibly in time for the Warley show at the NEC. New nameplates are also arriving in stock and we will provide a further update later this week, and theres possibly a new item for the ‘Heritage’ laser glazing range too. This weekend we are at the Spalding show, please see the show guide for more details, and we look forward to seeing you there. 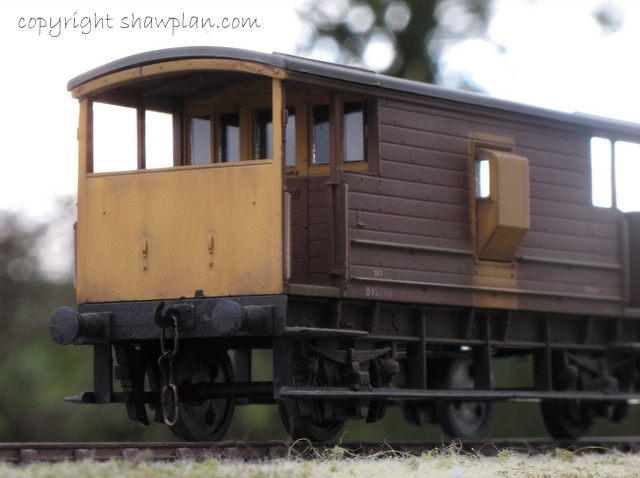 Today we’re pleased to announce the release of two sets of laser cut glazing for two brake van models. The sets illustrated have been tooled to fit current Bachmann GWR ‘Toad’, and Hornby LMS 20T brake vans. 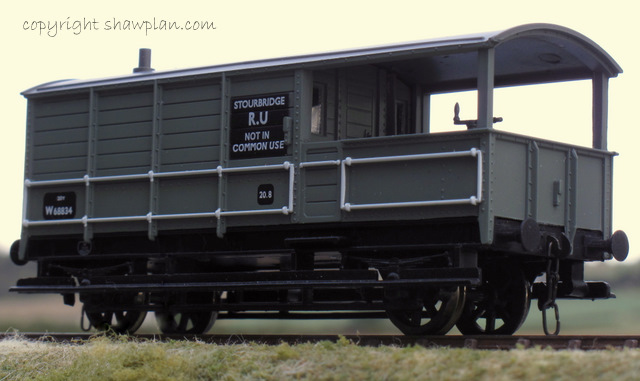 The LMS van set includes transparencies for the guards ducket windows on the side of the vehicles. 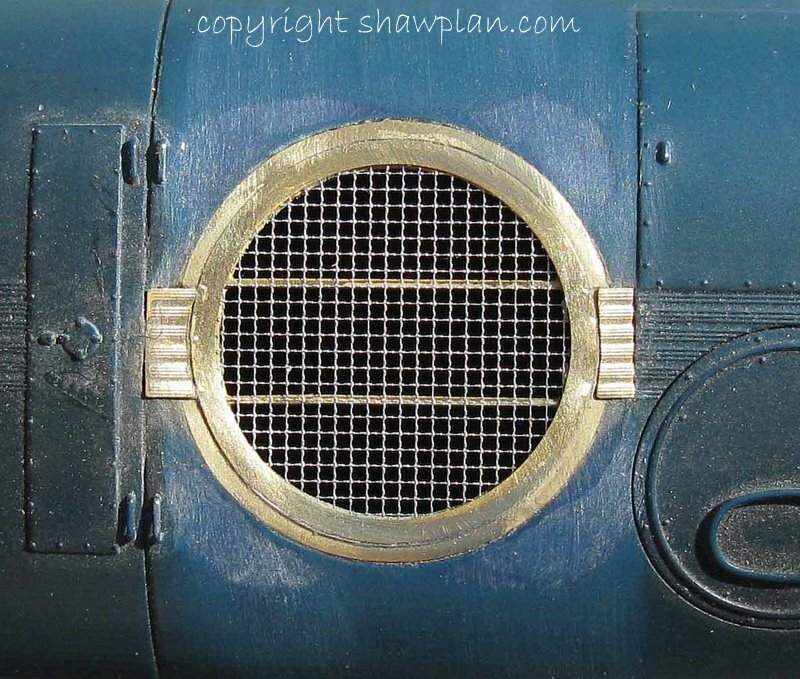 The main Shawplan website renovation has now commenced. A major re-design is underway to provide an up to date appearance, with catalogue lists and we anticipate to ultimately have on line ordering available for our customers. We’ll advise on progress in a future update. This weekend we are at the Peterborough show at the East of England Showground, come and say hello! Today we are pleased to announce the release of our latest Laserglaze product. 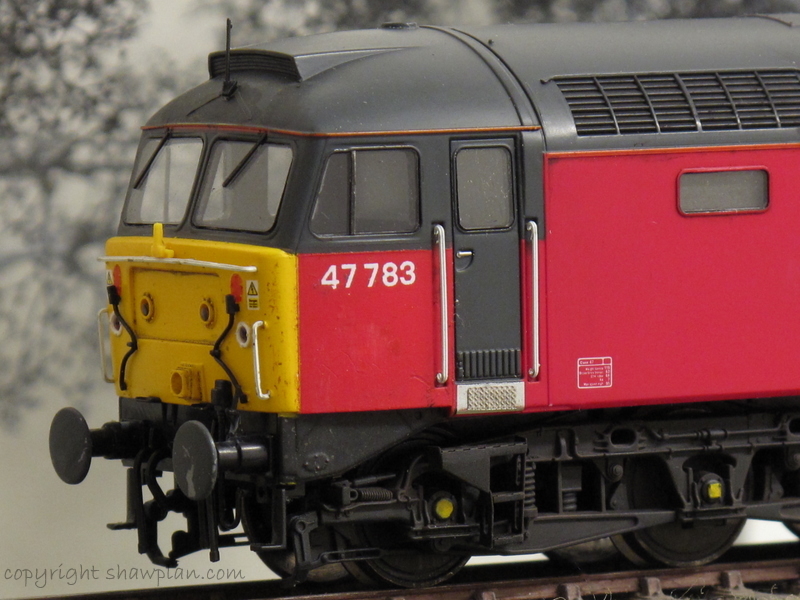 Added to the range today and in stock for Model Rail Live this weekend is the Laserglaze replacement windows for the Heljan 4mm class 27. Included in the kits are the headcode and body side windows. Both the drop light and sliding window variants are available as below, and we will add images of the sliding window variant shortly. This weekend we are at Barrow Hill Roundhouse, Chesterfield, attending Model Rail Live, and look forward to seeing you there! 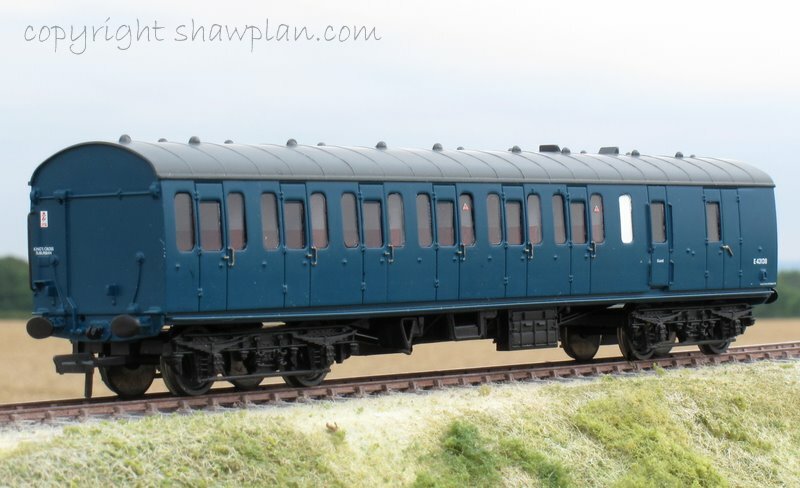 As hinted earlier in the week, we are pleased to announce the introduction of our Laseglaze packs to suit the Bachmann Mk1 suburban coaches. The pack is designed so that each pack will complete a brake or standard compartment vehicle, Price code K. Double click the images to see the full effect, the difference we think you’ll agree is astounding! We’re pleased to announce a new addition to the Shawplan stable, the ‘Heritage’ range. We have been asked on many an occasion if we’ll cover steam locomotive prototypes in the lazerglaze and extreme etchings range. Historically our ranges have covered the core Diesel and Electric era from British Rail up to the current day. 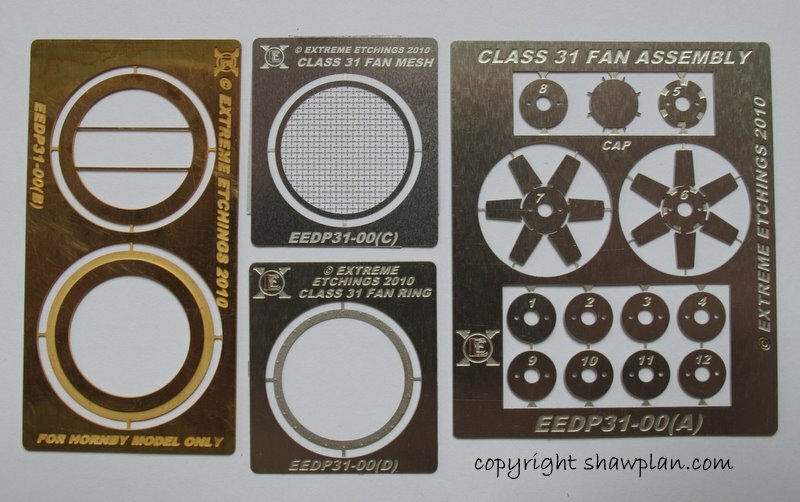 This new range will be a step into the ‘steam’ era for us, to cover components for some of the quality steam locomotive models currently available for the UK market. Initially we will be concentrating on 4mm scale Ready to Run models, and providing laser cut glazing for locomotive cabs. Our first releases cover the ever popular Great Western Collett designed pannier tank locomotive. 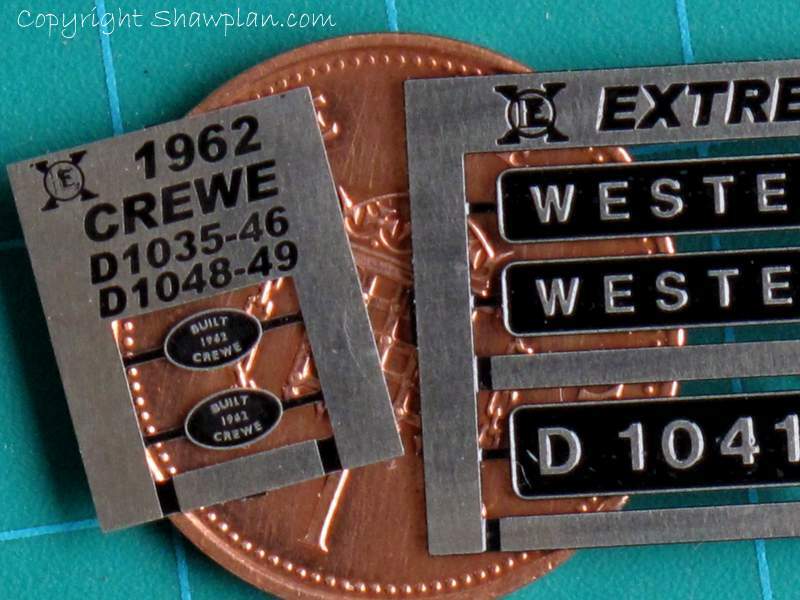 We have tooled up both the early ‘low’ 57xx and ‘high cab’ 37xx versions to fit the Bachmann Model. See the ‘Heritage’ page for more details. This weekend we are at the Midland Railway Centre Exhibition, come and say hello! The above image demonstrates the improvement possible using our laser cut glasing and etch window surrounds make to a Lima MK3 sleeping coach, modelled by Steven McNaught. The model is featured in issue 181 June 2011 of Rail Express. Both items available now. We have also been featured in the Model Railway Journal No. 207, with our Extreme Etchings and Laserglaze products for the Class 24. 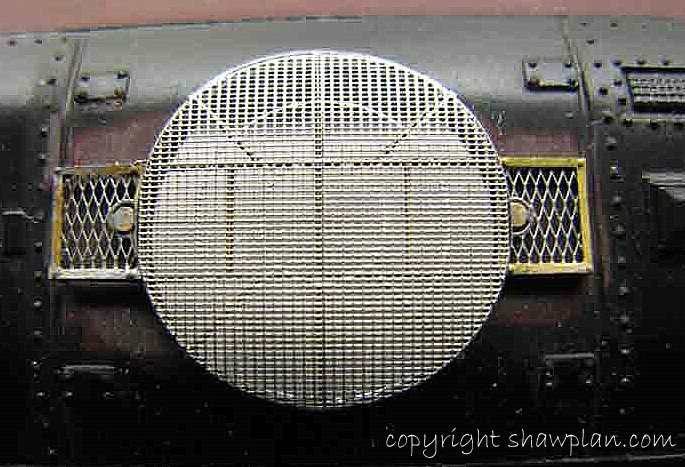 Under development and test etching at the moment are the roof and fan grill assemblies for the Class 26/27 and 33. We anticipate release of these in the early summer, further details here in due course. 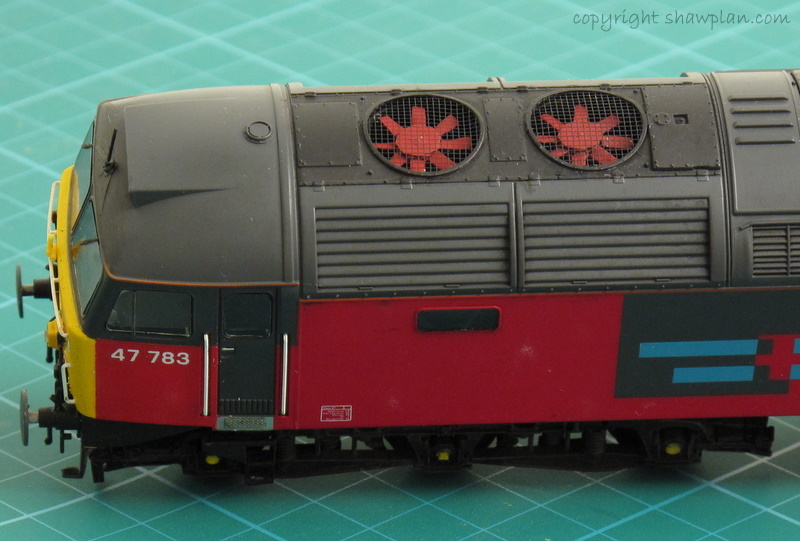 Laser cut windows for the Heljan 4mm models of the class 26/27 and 33 are under review for 2011 release. 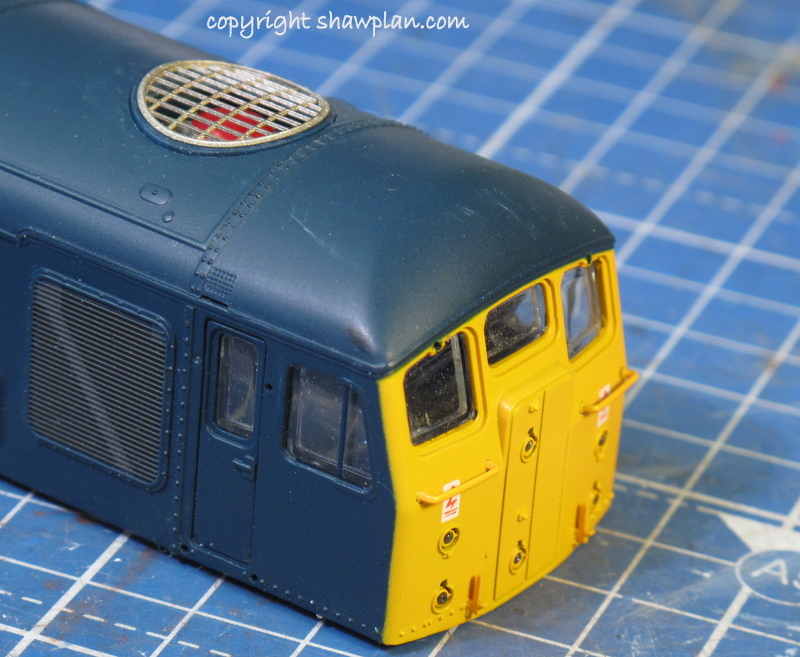 In this update we’d like to show you the assembled Class 31 fan and grill set, and the first images of the Warship class 42 and 43 roof grills. 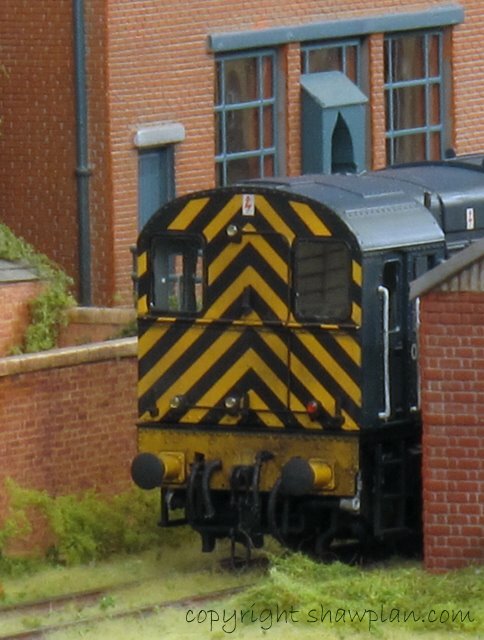 Please note there are two different kits for the class 31 the ‘A’ kit for Lima and Airfix, and the ‘B’ kit for the current Hornby model. The price difference is due to the requirement to have an additional etch in the ‘B’ kit. 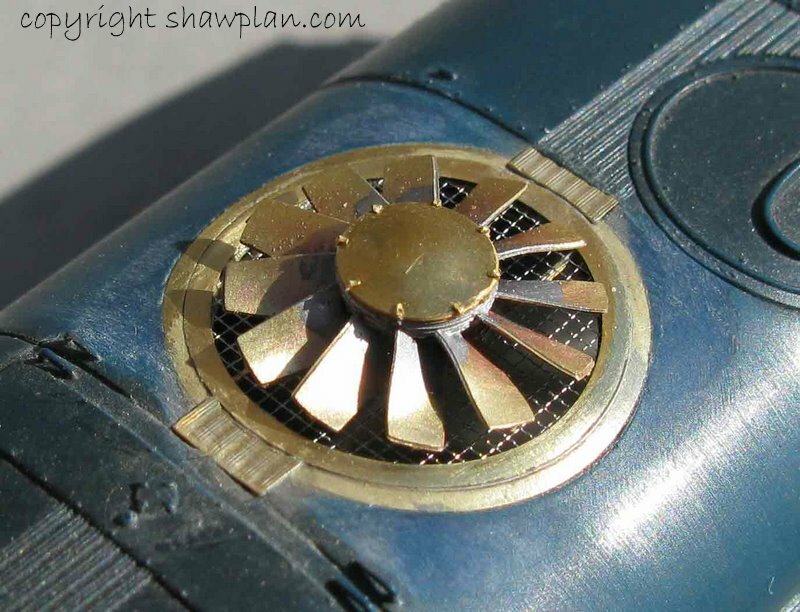 This reduces the fan aperature diameter, which on the current Hornby model is too large. The Hornby conversion is illustrated below. All the above are available from stock, and our next exhibitons are Derby and Expo Em, Bracknell, on the weekend of the 14th and 15th of May. 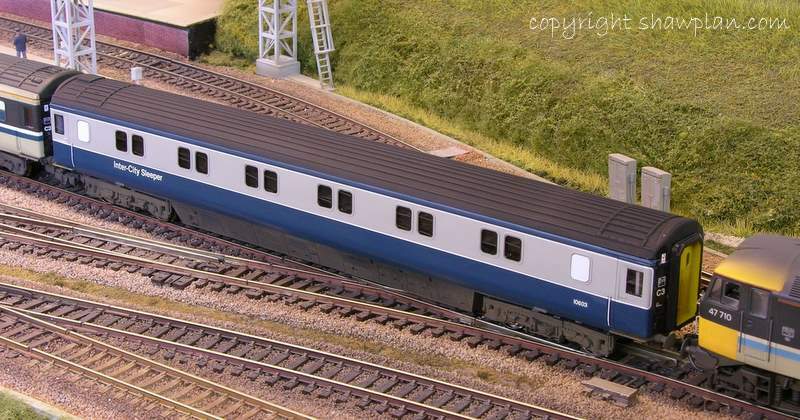 Just as a heads up and hot off the press for Nottingham, the laser cut glazing pack for the Hornby class 60 is now available, so new there are no product images yet! This a very quick update, as this week we are very busy and now fully into the the first part of the exhibition season. 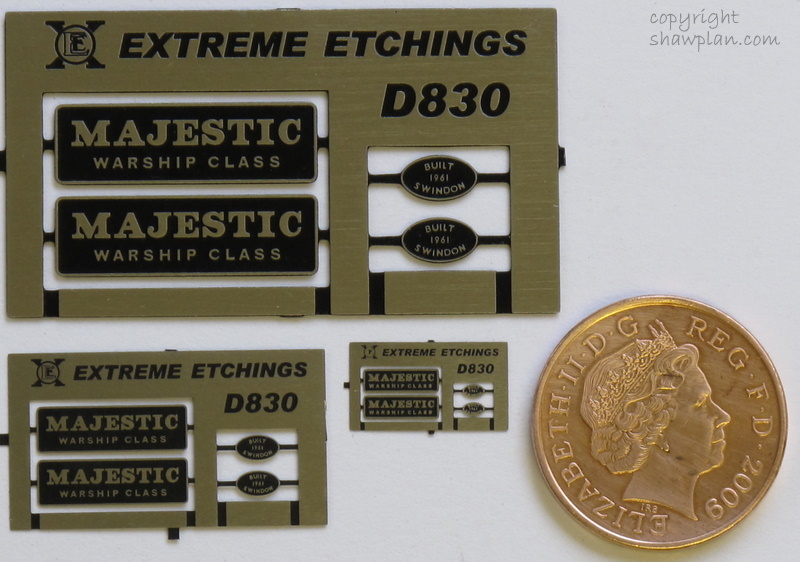 Above you can see the first test etches in 4mm scale for the Class 42 and 43 Warship. We are very pleased with these initial shots and anticipate the production etches very soon. 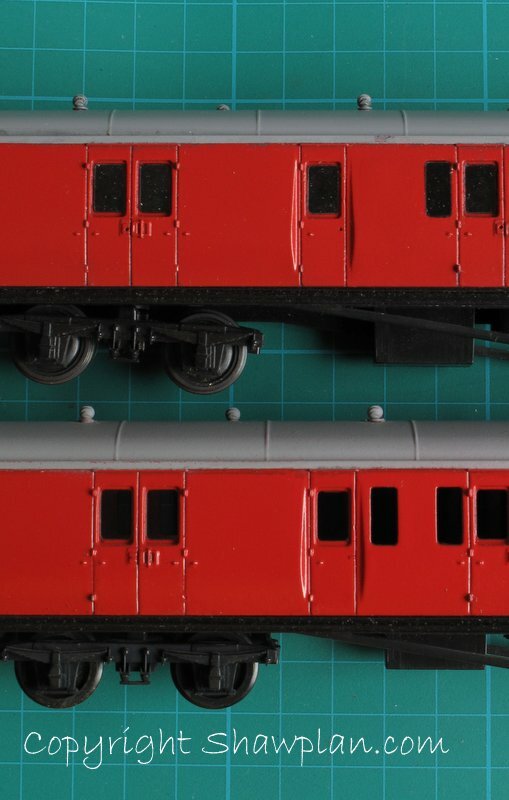 These will fit the Bachmann 4mm models, but also will work on older models such as the Lima and Mainline variants. A quick word about the shows, this weekend we are at Watford both today and Sunday, and next weekend we are at Model-Rail Scotland in Glasgow, (see ‘show diary’ for more details). This is almost a week away from the office for us, so there may few a slight delay in some replies to phone calls and emails. We will be fully back in the office on Tuesday March 1st. In the meantime we look forward to meeting you at the shows, so please come and say hello. 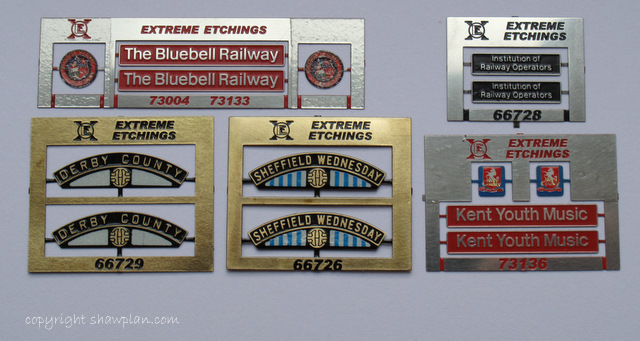 Today we’re showing a selection of some the new nameplates into the range. These are in stock now, to contact, or order from us, please don’t forget to use the links on the right hand side of this page. Hi, this is our first news update for 2011. We have updated our exhibitions date pages so you can see where you can visit the stand and buy our products. Don’t forget we have an excellent mail order service too. We have an exciting programme ahead of us this year using some of the latest manufacturing processes including laser and etching technology. 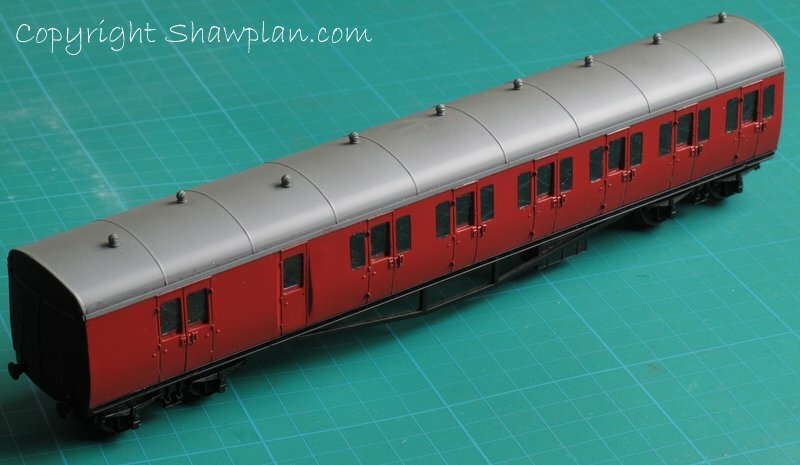 Above is one of the recent additions to the Laserglaze range, a set of windows which will fit both the Hornby and Lima CCT model. See our Laserglaze page for more details. It’s been a while since we’ve updated the blog, and are pleased to show you some of the products we’ve been working on over the summer. 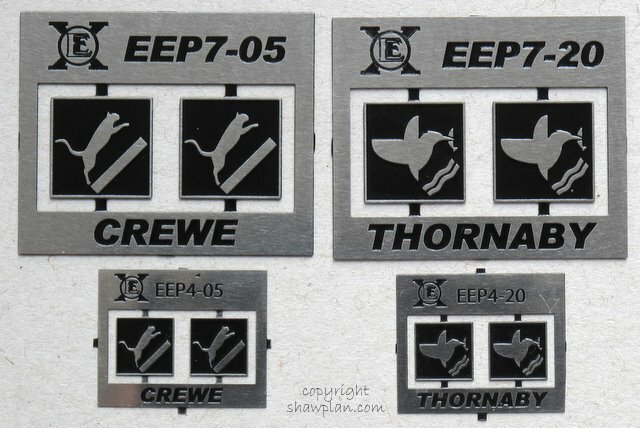 Below are the latest Shawplan Extreme Etching nameplates for the Warship class. 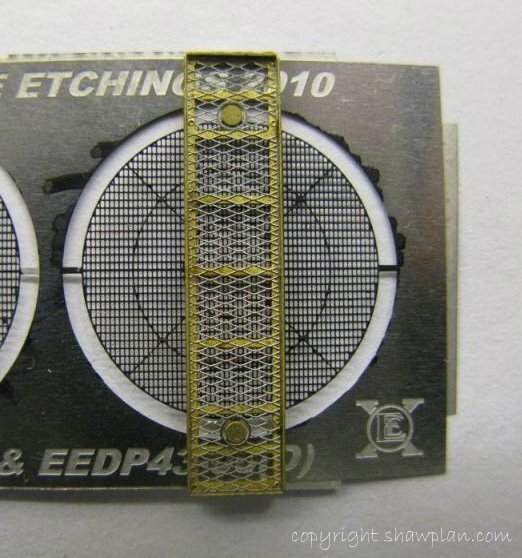 There are thirty new Warship plates now in the range in 2mm/4mm and 7mm scales. 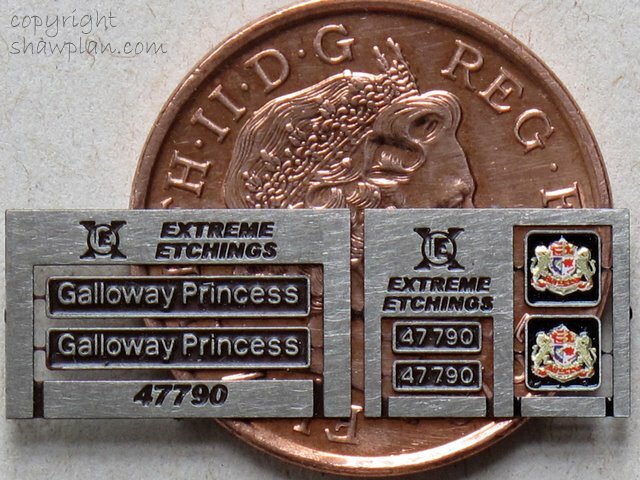 We’ve not just stopped with the Warships, all the class 50 nameplates have been redrawn to the new higher ‘Extreme Etchings’ standard, and for followers of the more recent rail scene there are new releases too. The entire DRS locomotive fleet names are available also added are the COLAS RAIL fleet. 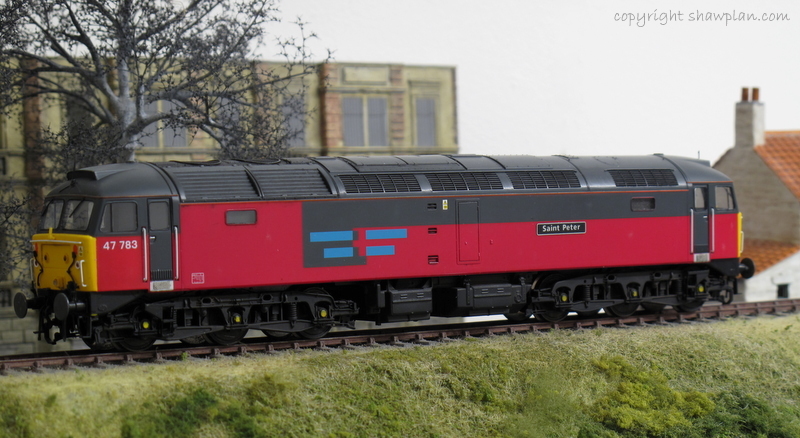 Not withstanding all those above there are many new releases and revised etches in the Class 37 nameplates too, so theres plenty of opportunity to make a model of the particular locomotive you desire. From the Extreme Etchings range of detail accessories we are happy to show a couple of images from new releases and final tooling tests. Shown above are the final tooling tests for the Class 24/5 Roof fan set for the Bachmann model, (it will also suit the Hornby body too). This is a three part etch and we have some final adjustments to make on the assembly jig. We anticipate availability will be in time for the Wigan show, which we shall be attending. See the Extreme Etchings page for further images. The two images above show the transformation that can be easily achieved with the ViTrains class 47 and our components. 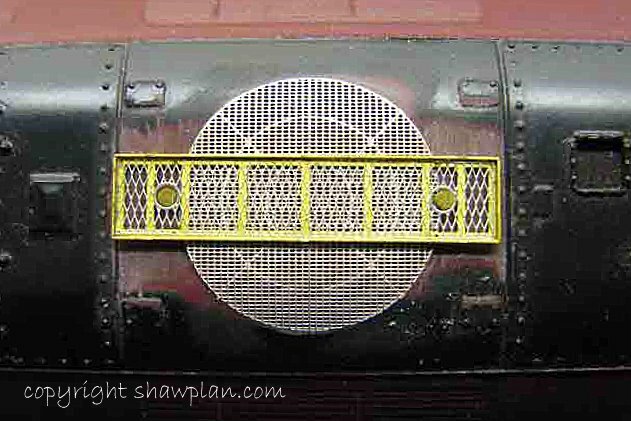 The locomotive has been fitted with Lazerglaze window glazing, an Extreme Etchings etched fan and grill set, and a pair of Shawplan Nameplates. The glazing is anticipated to be available for Wigan, and both Fan/Grill and nameplate etches are available ex stock. See the Lazerglaze page for more images. 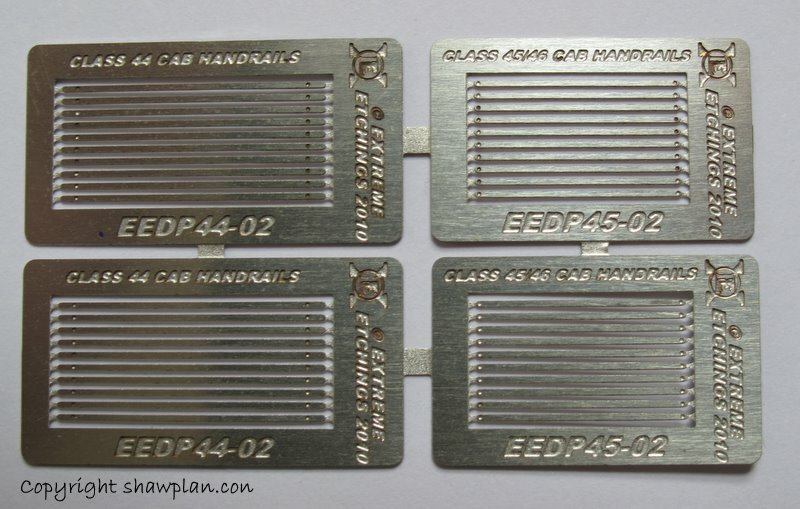 These etches below are at final prototyping stage, with assembly of final etches to ensure that the design is satisfactory in terms of practicality, and build quality before release into the Extreme Etchings range.